When the lovely Lucy here put out a call for "free-from" recipes I just knew I had to jump in. Not simply because I consider myself (in all modesty) a bit of an expert in the field of free-from baking (more on that later), but quite honestly, I have no other outlet just now for my creations (except my tummy). It's only fair to warn you, expert or no, that I have always been a haphazard baker. When I was about four I watched my Dad make drop scones without measuring any of the ingredients, and from there I never looked back. I came to free-from baking in a long, roundabout way. I have always experimented with different ingredients that entice and excite me. But like most, it has also been an enforced health journey for me. I first gave up dairy, and instantly cured many congestive complaints. Then I gave up wheat, and finally gluten altogether - curing me of chronic fatigue and digestive upsets. More recently I have experimented with giving up sugar (of all kinds) in a bid to kill a chronic candida overgrowth (terrifyingly common in today's culture of refined foods, and basely responsible for most chronic illnesses). Suffice to say most of my bakes and creations these days are dairy, gluten AND sugar-free, and often vegan too (beat that GBBO!). This makes them no less tasty (I am particular on that front!) and above all they are QUICK and EASY, because I like pretty instant results. 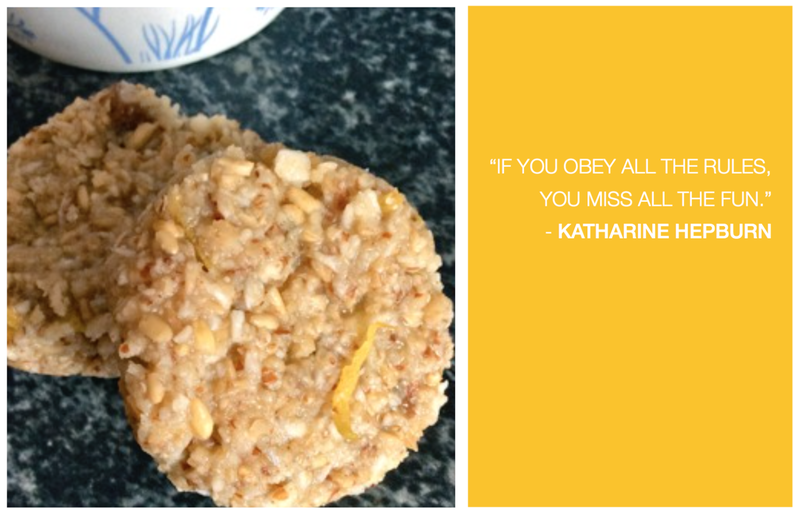 I'm going to share two biscuit recipes over the next month - because what's more British than a biscuit? One is raw (and a favourite of Lucy's!) and the other is a bake I just created this week. Unusually for me, neither contains chocolate (sorry about that) but I do use cacao butter. If you can't source cacao butter easily, feel free to substitute as you see fit. 1/4 cup cacao butter (Lucy's note: this gives me migraines so I use half white choc and half coconut oil instead). Split open the cardamom pod and extract the seeds for use then grind together the oats, almonds, cardamom seeds and salt to a rough flour (not too fine). Melt the honey/syrup and cacao butter together over a bowl of hot water then add in the lemon rind. Mix everything together to form a dough. Line a baking sheet with greaseproof paper and shape the dough into little cookies. Freeze or chill until firm, then enjoy with your favourite hot beverage. These are particularly good dunked in my decadent Morning Macaccino. If you liked this recipe, do try out my first ebook, Real Food Raw, which contains lots of fun, quick and easy wholefood recipes especially created for a free-from diet. There's also lots of great tips and help in there to support you in transitioning between food habits, and how you can make it easy for yourself. Zoë Foster is a Life Energy Alchemist at LifeEnergyAlchemy.com, where she helps soul-driven women balance their natural energetic highs and lows and find their own rhythm - one that maximises both creative output AND self-care on a whole-person level. 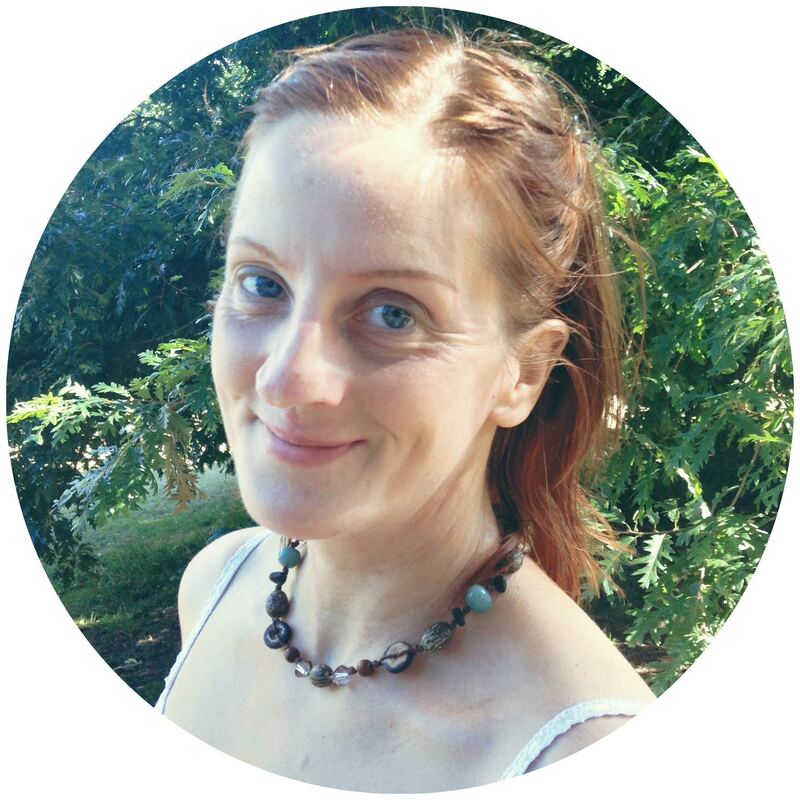 Zoë is also a writer and yoga teacher and lives on the edge of magical Dartmoor in Devon, UK with her young family. You can connect with Zoë on Facebook, Instagram, Periscope, Pinterest and Twitter at @ZoeKMFoster.